Zen Master Thich Nhat Hanh is a prolific author, poet, teacher, scholar and peace activist. Yet he is also a master calligrapher, distilling ancient Buddhist teachings into simple phrases that resonate with our modern times, capturing and expressing his lifetime of meditative insight, peace and compassion. This book offers a rare opportunity to spend time in the presence of his beautiful creations. 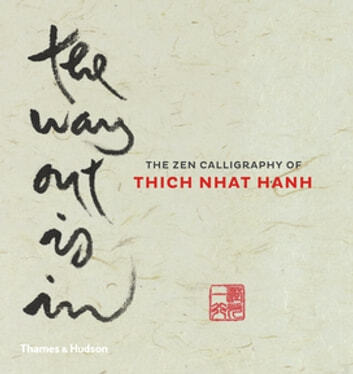 For Thich Nhat Hanh, creating calligraphy is more than creating art - it is also a meditative practice. He is fully present for every moment, from drinking his tea, to sitting down and taking a brush, and using the tea to make the ink. Each calligraphy is made of mindful sitting, breathing, walking, smiling - and love.